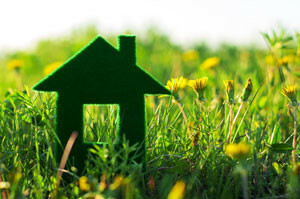 Get inspired this spring to make your home greener and more comfortable. You’ll save energy and lower your environmental impact. Moreover, you can meet your home energy goals with upgrades and practical efficiency improvements, such as these spring home efficiency tips. Cooling: Refrigerant lines and coils are checked for leaks. Airflow is measured for volume and free movement. Components are deep cleaned and a complete system diagnostics are performed. Ducts: Ducts are inspected for leaks and obstructions. Combustion: Combustion appliances are inspected for safety. CO detectors are tested. If your cooling or heating systems are more than 10 or 15 years old (A/C and furnace respectively), you could save substantial energy by upgrading to Energy Star-qualified equipment. A new standard A/C saves at least 30 percent over a standard A/C produced just 10 years ago. High-efficiency systems are going to save much more energy. Schedule water heater maintenance to have your system flushed and the components checked. Flushing the tank improves heating efficiency. The anode rod needs to be replaced every three years. This is the sacrificial device that prevents corrosion to the inside of the water heater. Does your home become uncomfortable with high summer humidity? Use a hygrometer to check humidity room to room. Humidity should be below 50 percent. Portable dehumidifiers improve comfort, protect against mold and lower cooling bills. Whole-home dehumidifiers do a much better job and require less maintenance (no water dumping). Sealing air leaks in the home’s envelope mitigates drafts and lowers the cooling and heating loads placed on the HVAC system. Use a smoke pencil to locate air leaks in windows, doors, attic, wall plates, fireplaces and wall penetrations. Leaks can be sealed with foam weatherstripping, caulk and gaskets for wall switch plates. For more spring home efficiency tips for your Lawton and Duncan area home, contact the experts at Davis Air Conditioning for details or to schedule spring maintenance. Posted on April 28, 2015 by D Custom.